After the ASL Ice Bucket Challenge and its desi Rice Bucket version comes the My Tree Challenge! The ASL Ice Bucket Challenge became an internet sensation last month, with celebrities all over the world taking part in it quite sportingly, and doing their bit for charity. But now, environmental enthusiasts like entrepreneur Abdul Manaf and travel photographer Imthias Kadeer have come up with a unique idea of planting trees by starting the My Tree Challenge. The initiative has taken the south film industry by storm, as actor Fahadh Faasil took up the challenge, and nominated Mamootty. Mammootty, in turn, nominated Shah Rukh Khan and popular Tamil actors Vijay and Suriya. 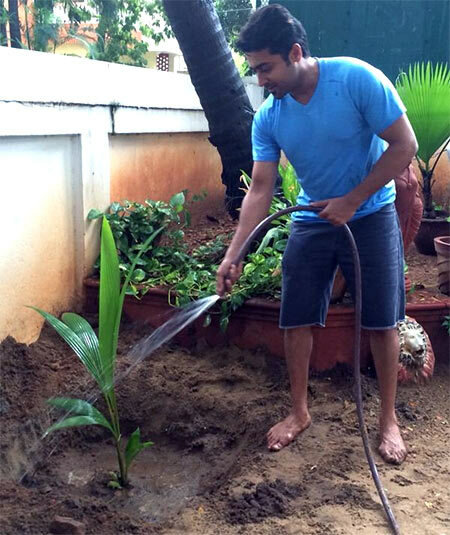 Suriya picks a spot in his garden for his new plant. 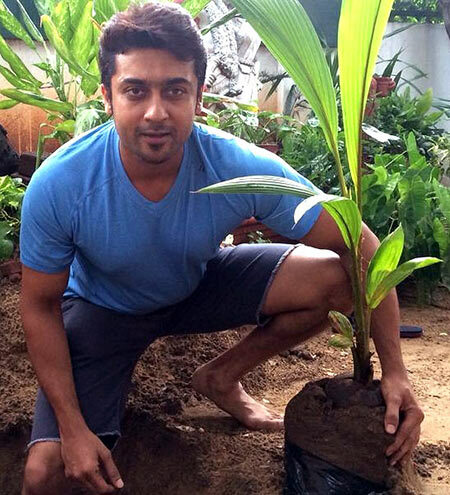 The Singham actor is well known for his philanthropic activities and took this one as his responsibility towards the environment. 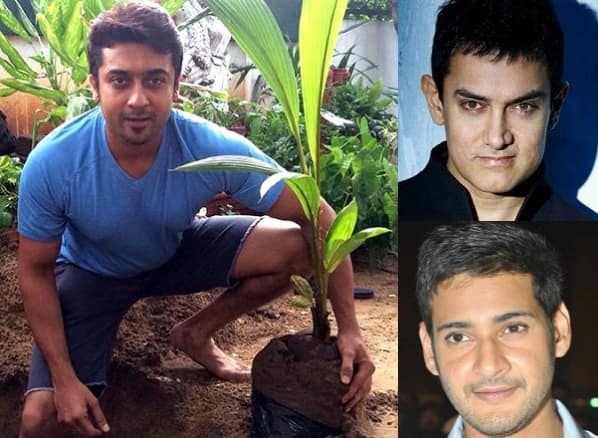 Meanwhile, Tamil actor Vijay also reportedly took up Mammootty's challenge and has decided to plant 25,000 saplings and is said to be interested in challenging school children to accept the challenge. 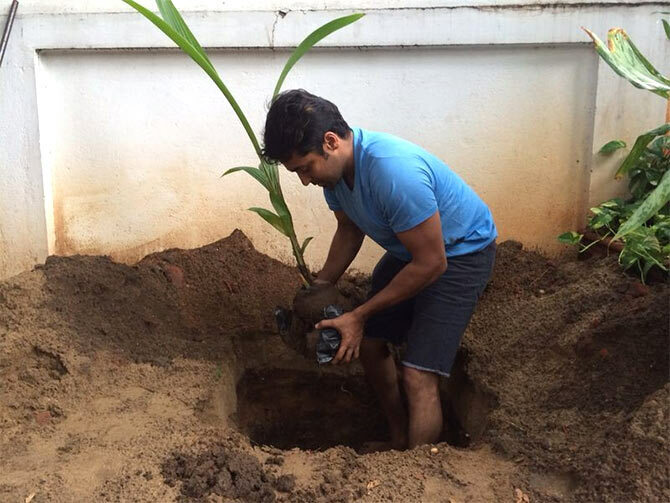 Abdul Ghani, the brain child of APJ Abdul Kalam's "Green Kalam Project" will help Vijay in this project.